If you have noticed my Instagram or facebook for the past few days, you might have seen some photos of camel-riding, the world’s tallest building and dancing at the top. Yep, I was in Dubai last weekend for the Alshaya Food Tour; with a bunch of fun-loving food bloggers and social media influencers. We were given with a mission; where we are required to try out, review the restaurants and then comment on them. That’s my first impression of it. 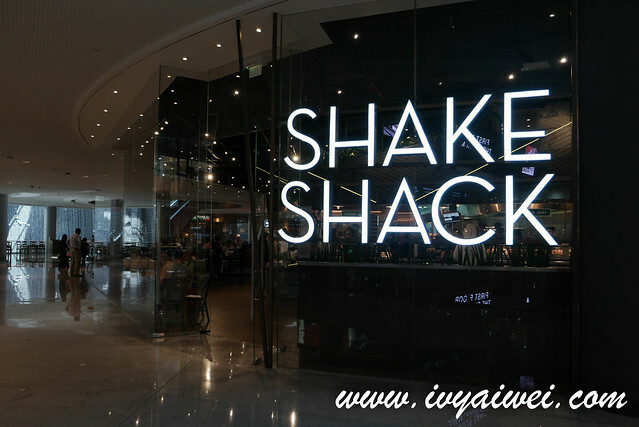 Started up as the hot dog cart in Madison Square Park in Manhattan which was quite a successful one, Shake Shack has become so well-known over the states and expanding its empire into Middle East, UK, Turkey and Russia. Maybe… Asia will be next?! Which is what I truly sincerely hope so. 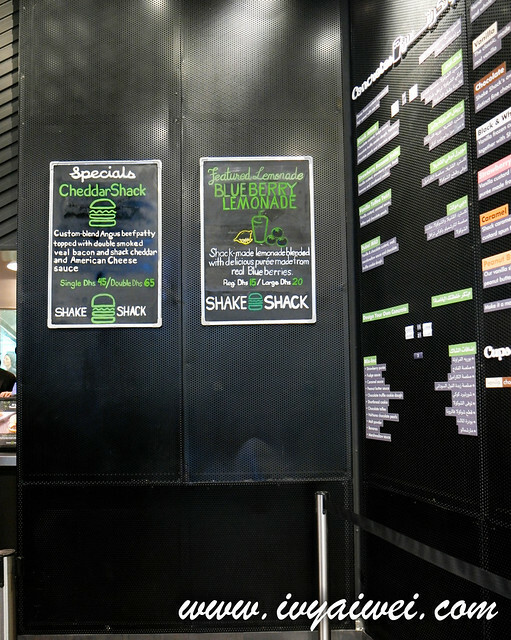 This self-service burger place offers quite a focus and straight-forward menu. 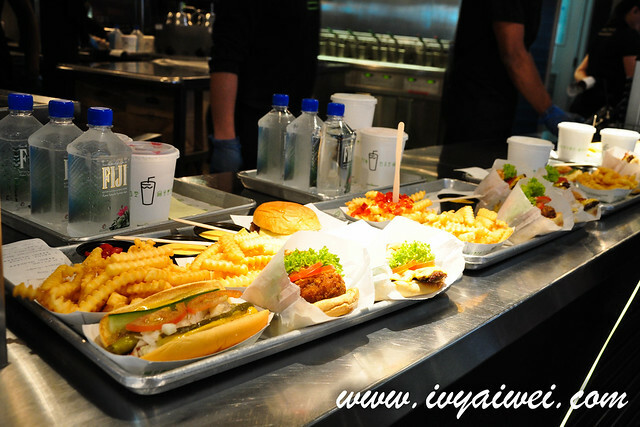 There are a few category of delish food to choose from, such as burger, hot dogs, fries, concretes and milkshake. 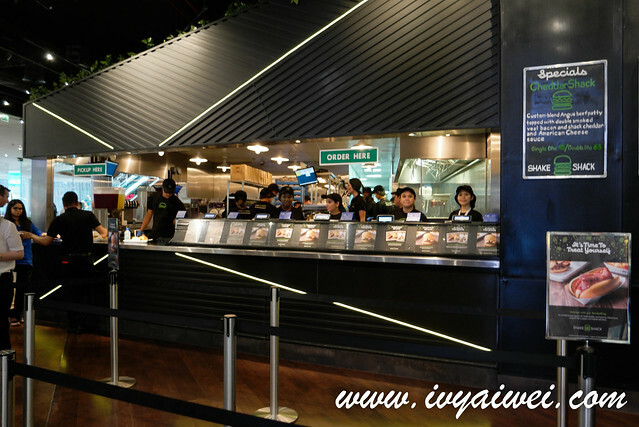 It is not quite a fast food chain I would say as they prepare those burgers freshly from scratch. Hence, one may need to wait for a while before get called up to pick up the order. After ordering, you will be presented with this device. Once it beeps and vibrates, just move over to the pickup counter to collect your orders. 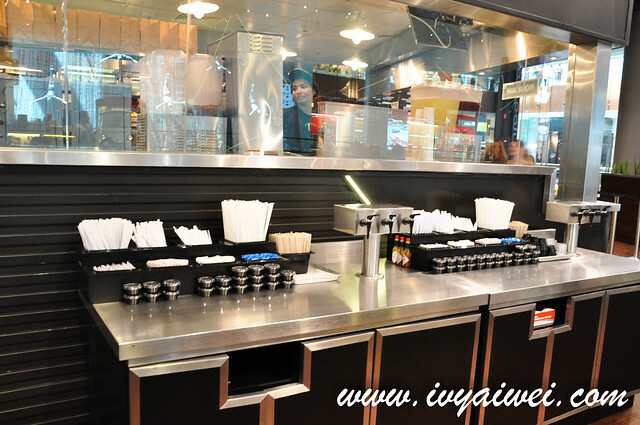 While the ketchup, tabasco, mustard, mayonnaise and all sort of cutlery are available neatly just next to the pickup counter. Ta-da… part of our order. Cheeseburger with single beef patty topped with lettuce, tomato and ShackSauce. 100% natural Angus beef made patty sandwiched in between the hot fluffy buns with great amount of cheese oozing out. 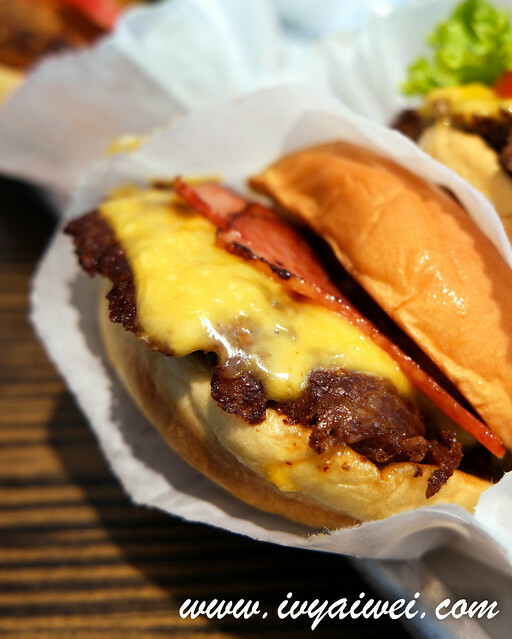 FYI, Shake Shack highlights that the beef they used consist NO hormones and NO antibiotics added in. All burgers are cooked well unless you request something different. Love the juiciness of the burger patty. It was made done but the juice was locked and retained in the patty. Not to mention, their special ShackSauce; which was tangy and bursting with mega flavours. I almost walloped the whole burger before my partner-in-crime Christine shoot me a I-wanna-try-also that look. It was very yummy, this was just too good for sharing! Sorry Christine. The size of the patty may look thin but it was just right to me. Opt for the double patty if you need more meat in your burger. Cheeseburger topped with hickory smoked veal bacon, 100% Angus beef patty, spicy chopped cherry pepper and ShackSauce. Smoky and spicy with the cherry pepper. Another interesting option for those who love their burger spicy. Crisp-fried Portobello mushroom filled with melted muenster and cheddar cheeses, topped with lettuce, tomato and ShackSauce. Looking dry eh but don’t judge the book by its cover. Take a bite and yes, the juice of the Portobello mushroom burst out with flavours of the ShackSauce. So Yum! 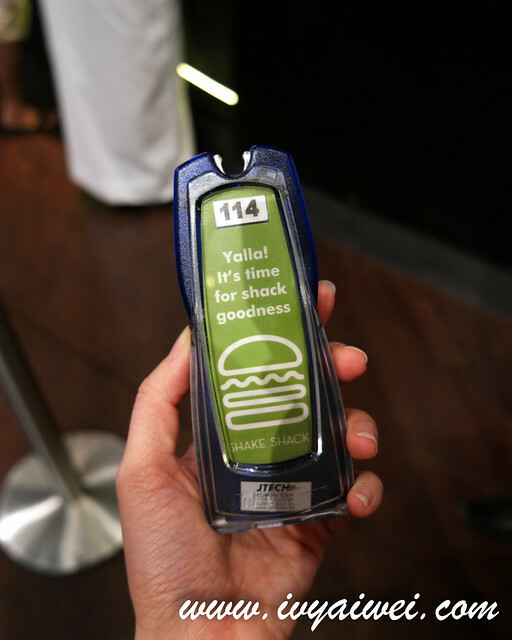 But provided with a top up for AED 2, I will go for their signature burger. 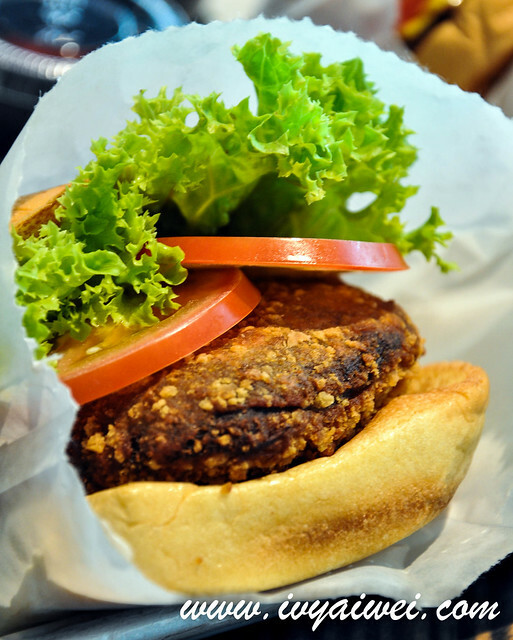 Or go greedy with Shack Stack (AED 42) with the combination of shroom burger and the signature. 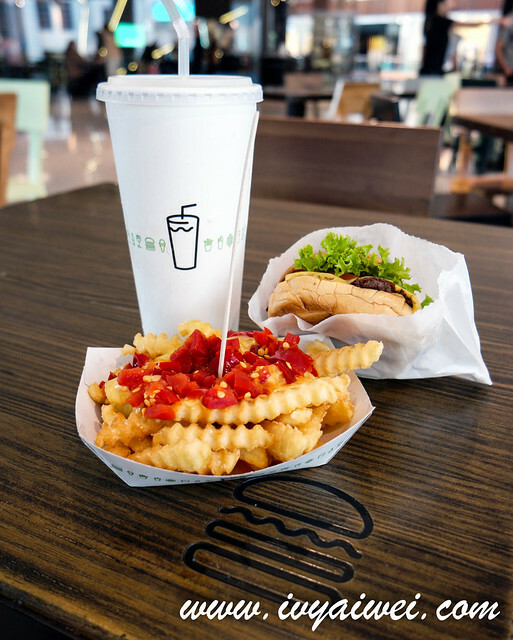 Shake Shack started off as a hot dog cart, so hot dog is also a must have. 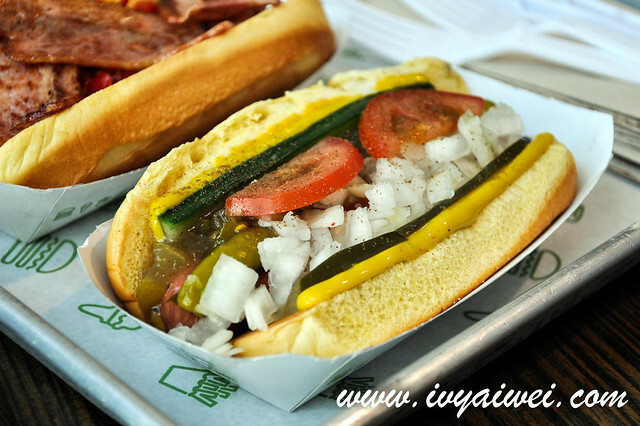 Vienna all-beef hot dog dragged through the garden with Rick’sPicks Shack relist, onion, cucumber, pickle, tomato, sport pepper, celery salt and mustard. Pretty fiery hot when bite on the chilli and the hot dog is a lil skimpy in size. 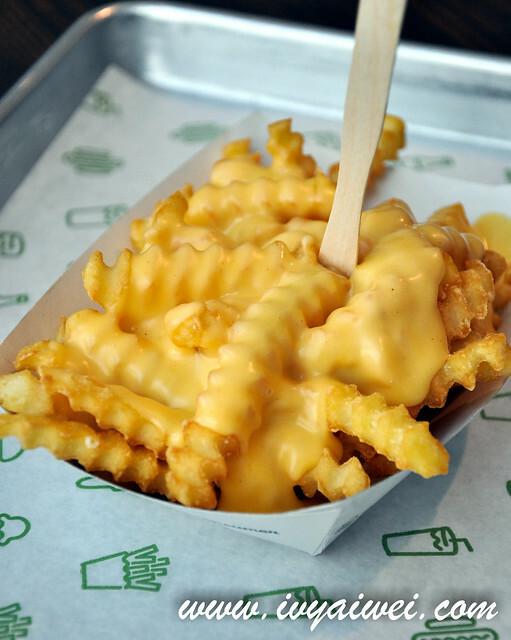 Crinkle cut potatoes generously drizzled with special cheesy blend of cheddar and American cheese sauce. 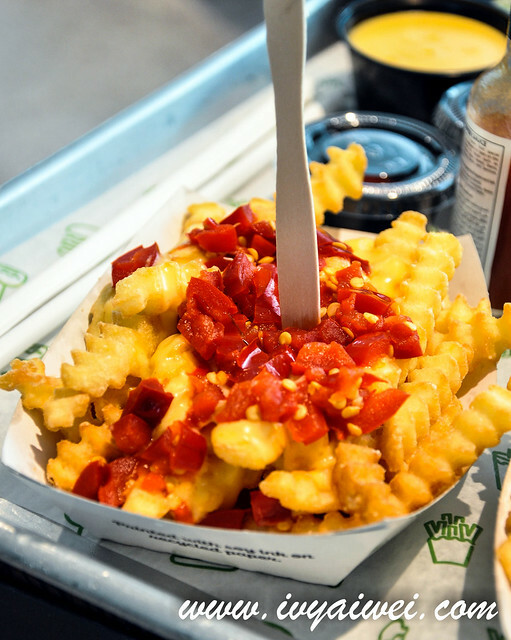 But I prefer the Cheese Fries topped with cherry pepper (AED 26) which was kicking hot with spicy hot cherry pepper. Concretes in the house are pretty interesting. It is the rich and dense frozen custard ice cream blended at high speed with mix-ins. 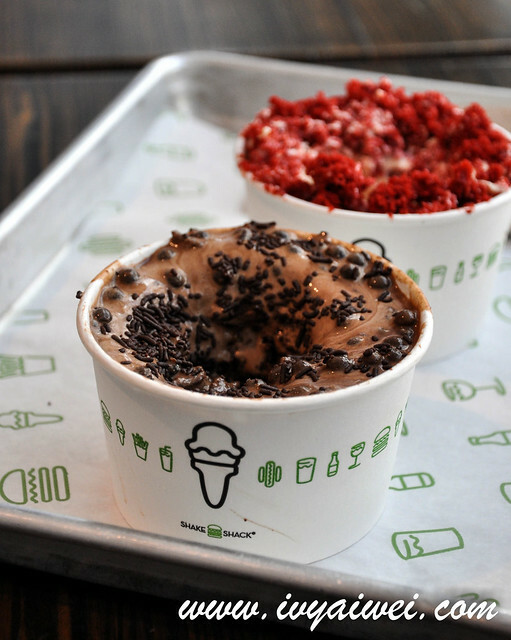 Shack Attack (AED 24 for single) was the mix of chocolate custard, fudge sauce, chocolate truffle cookie dough and Volrhona chocolate pearls, topped with chocolate sprinkles. Sinful, rich, creamy, dense and so chocolaty. 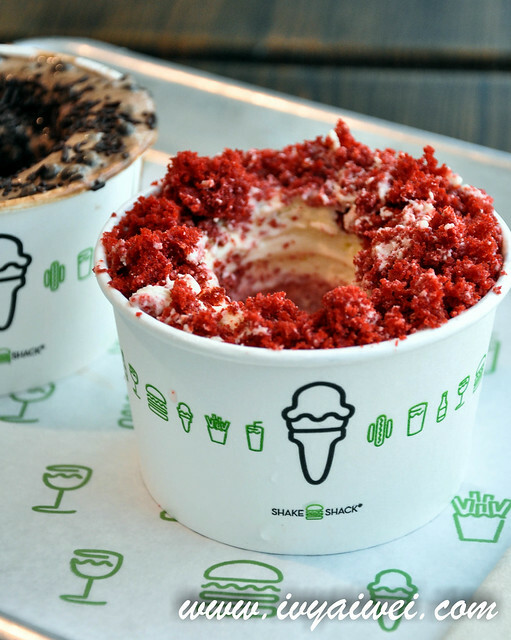 Red velvet (AED 24 for single) was filled with vanilla custard and red velvet cake. Simply delish and this was something I have never come across before. Concrete has a very new texture on my palate. Smooth, silky, dense but at the same time, they are not overly sweet (as the frozen custard is made with lesser sugar and more egg yolks). Just something I am looking for in desserts. I believe this will bring a huge WOW factor to the crowd here in Malaysia. Overall, it was an excellent burger place. In terms of concept, ambiance, food and taste. Although the price to pay for the burger seems a little steep, it’s the premium and quality ingredient they used which was excellent. Of course, it will be great if they can revise the price a bit if they are coming to Malaysia so that it can be everyone’s everyday meal. The concrete desserts are the best new thing/texture I came across. I can’t think of anything similar here in Malaysia. I do believe there is a WOW factor for people nowadays and long queue for us here. 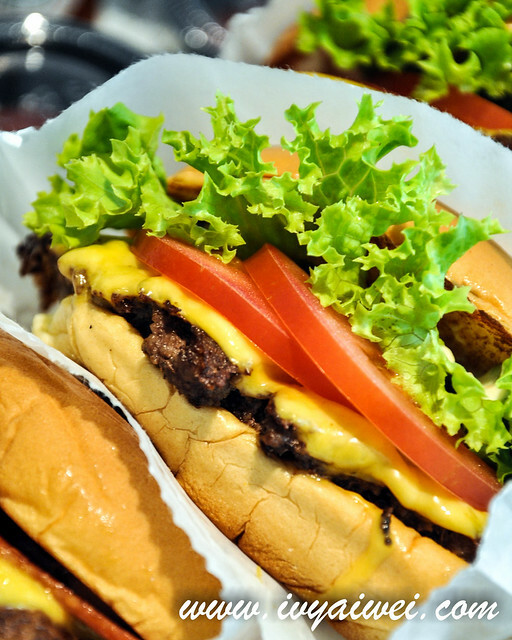 Shake Shack, please come to Malaysia!